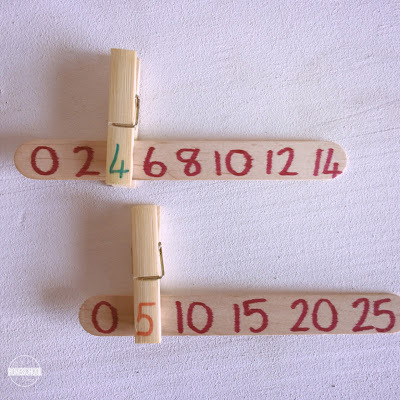 Make Number Line Missing Numbers Clip Sticks for your kids to work on number skills and fine motor skills too! These sticks are fun to use and you can adapt this idea to the age and skills of your child/ren. 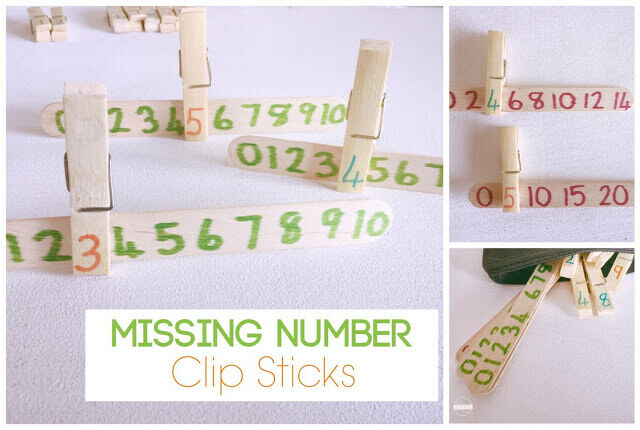 These missing number clip sticks can be used for counting on or skip counting practice. Fine motor skills are also developed with the opening and closing of the peg. 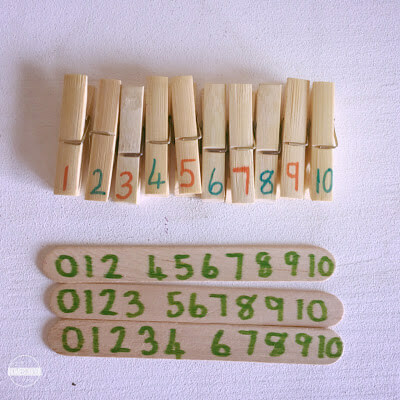 This Number Line Missing Numbers Clip Sticks is such a fun, hands on counting activity for young learners. Simply write numbers on the sticks, you can use both sides. Number the pegs, use both sides if you need too. The first set I made was for numbers 0-10. (I used two different colors, you can use as many colors and numbers as you desire.) I left out numbers, leaving enough space for the peg number to clip into place. The next set was made for skip counting in 2’s and 10’s. You can make how many ever sets you need. The possibilities are endless! Place these sticks into a small pencil case or ziplock bag and you have a busy bag activity to take along on long rides or for keeping kids occupied when waiting at the doctors office etc. 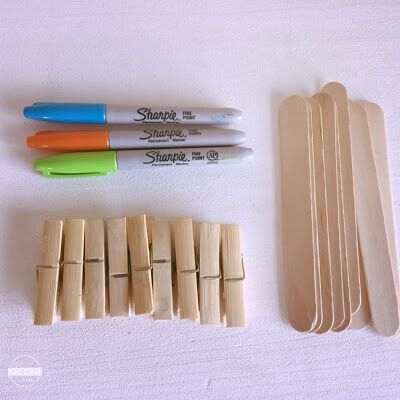 A few sticks and pegs and you have a frugal tool to practice counting skills at home or in the class! Loving the clip sticks? Don’t miss the letter version of these – Missing Letters Clip Sticks.